Spain’s Supreme Court has set the 12th of February as the long-awaited date to begin oral arguments in the trial of Catalan separatist leaders, while protests where held Friday as Catalonia’s Mossos de Esquadra regional police handed over the principal defendants to the national Guardia Civil for transfer to jails outside Madrid, where the high-profile trial will take place. In the oral arguments phase of the trial, which will be broadcast live on Spanish television, the Court will call as witnesses top Spanish political leaders, including ex-President Mariano Rajoy, former Vice-President Soraya Saenz de Santa Maria, former Catalan President Artur Mas and Basque Lehendekari Íñigo Urkullu. Because the trial will be televised live and therefore available for anyone to see, the court said it will not provide special observer status to international organizations or individuals. 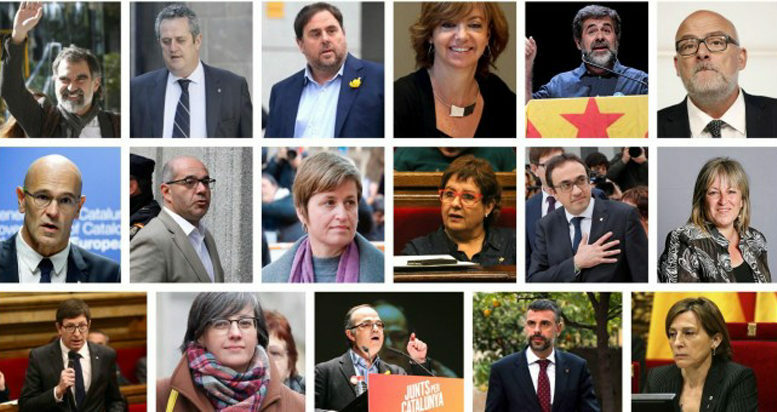 A seven-member panel of Supreme Court judges will preside over the oral defense and cross-examination of 12 pro-independence leaders on a variety of charges, including rebellion, sedition, disobedience of court orders and misuse of public funds related to events surrounding Catalonia’s October 2017 pro-independence referendum, which was illegal under Spain’s Constitution. Public prosecutors and attorneys for the Spanish government are seeking various sentences for the secessionist leaders. Various protests in support of the defendants broke out in Catalonia as they were transferred on Friday from jails near their homes across the northwest region, with demonstrators convened by the ANC occupying the offices of the European Commission in Barcelona to draw EU and international attention to the trial.